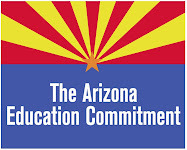 Arizona Education Network: Legislators Take 2nd Trip to DC for Special Interest Group!!! Still no budget! Legislators Take 2nd Trip to DC for Special Interest Group!!! Still no budget! Mary Jo Pitzl, lead legislative reporter for The Arizona Republic, reports on another trip that 14 legislators are embarking on this week instead of calling a special session to address our state's $3B deficit. This is the second trip lawmakers attended this year for the ALEC conference. The last one was in Atlanta. AZ lawmakers off to D.C.
Fourteen Arizona lawmakers are in Washington D.C. this week for the winter meeting of the American Legislative Exchange Council. They're hearing presentations on such topics as "Ensuring Success Outside the Ivory Tower," the upcoming redistricting process after the 2010 census, and a special presentation on "Obamacare." They're also hearing address from Rep. John Boehner, the House Minority Leader and Rep. Eric Cantor, R-Virginia. ALEC attracts mainly Republican lawmakers and serves as a laboratory for legislation that participants often take back to their home states. Following is a list of the Arizona lawmakers, all Republicans, who are attending. They're not traveling on the taxpayer dime; their fees and fares are being paid for by scholarships sponsored by various industry contributors. That's the same method that will be used by a mixed bag of Democrats and Republicans who are lining up for the next legislative confab, the National Conference of State Legislatures, which is convening in San Diego. Stay tuned for that list. No wonder there's no talk of another legislative special session until mid-December. We encourage ALL voters to contact the above legislators and ask them to focus on our state's budget woes. For contact information, visit AEN's "Legislature & Governor" tab by clicking here.